Ideally sited on a cul de sac on the south side of town this spacious Colonial is what you have been waiting for. 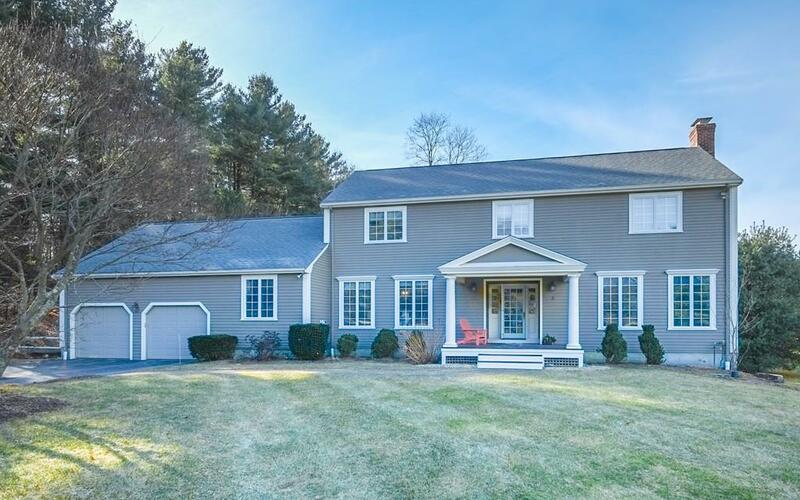 The central location across from Wayland High School & near both elementary & middle schools offers great convenience throughout the school aged years. The 4/5 BR home is energy efficient with a fully paid lease on solar panels (no electric bills). First floor features large entry foyer with front to back fireplaced LR to one side and dining room to the other. In the back of the house is generous fireplaced family room opening to deck and pretty updated eat in kitchen, an office with half bath, laundry room, mud room and additional powder room. Four generous sized bedrooms on 2nd fl. Master bedroom features HW floors, balcony, updated bath + walk in closet. Great ceiling height throughout + large windows. Walk out basement features a large playroom with fireplace & slider to the back yard. Convenient to commuting routes: MA Pike, Rt's 9, 30. Top ranked school system!